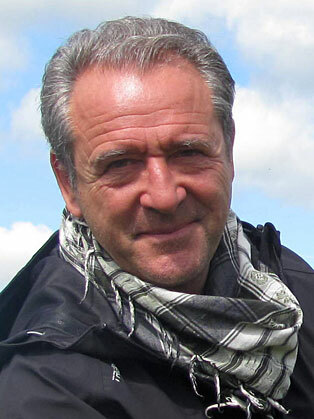 Duncan Falconer is an author, screen-writer and crisis management specialist. Brought up in an orphanage, at 19 years old he was the youngest ever member of the elite British Special Boat Service in which he served for 12 years, 3 of them in the secretive undercover anti-terrorist unit, the 14thIntelligence detachment. On leaving the military he lived in Los Angeles for 15 years as a screenwriter and along with some terrible movies, created a successful TV show that ran for 5 years. On returning to the UK after 9/11 he spent 13 years taking correspondents into some of the world’s most hostile places such as the Congo and war-torn Liberia, managed kidnappings in Baghdad and Kabul, planned and executed evacuations and written emergency plans for organisations in places such as China, Africa and the Middle East. Falconer has had 10 books published - an autobiography and 9 novels, 8 of them on his fictional Special Forces hero, John Stratton, with sub plots and characters taken from his many amazing experiences. He has sold the film rights to his book series, with the first of them already filmed and awaiting release.